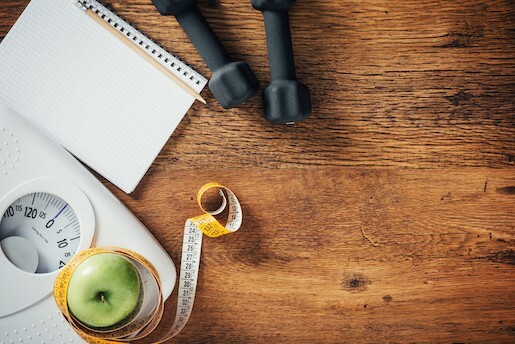 Learning how to make a workout plan can help you reach for your exercise goals. Figure out why you want to exercise, how you can fit the work on which exercises to do. The most difficult part about exercising is simply getting started. It can be so easy to put off the hard work of exercising, finding one excuse after another, until you wind up not exercising at all. Making a workout plan can help you find the time to exercise and then stick to your schedule, no matter what excuses might come up. Research suggests that it takes about 66 days, on average, to set a new habit. That means you have to keep working at your exercise schedule for over two months before it becomes second nature to you. By making a plan ahead of time and sticking to your schedule as though your life depended on it, you can make exercise a part of your everyday life. No matter what your plan, it always starts with a goal. It is much easier to exercise if you have a firm goal in mind. Without an idea of what you want to achieve, your workout plan will quickly fall to the wayside. These are some of the top reasons why individuals want to work out on a regular basis. Which one of these inspires you? Health. Exercise has proven health benefits for anyone. Even a few minutes of exercise each day is much better than none, and it can improve your health by helping lower cholesterol, taking care of your heart and even improving your lung capacity. Even if the only exercise you can do is a slow walk, go for it! Losing Fat. If you want to lose fat, watch your calories while you exercise. Try to eat 500 calories less than what you actually burn – you can determine this by figuring out how much you burn by doing a particular activity, then adjust your food intake accordingly. A good exercise plan can kick-start your metabolism and help your body burn even more calories. Gaining muscles. If you want to look better and have more energy, building muscle mass can help you do that. In this case, you will need to take in more calories than if you were dieting. Building muscle mass takes time, so it is important to stick to a regular exercise schedule. Sports conditioning. Are you an athlete or do you want to become one? Focus your exercise workout plan on the goals you have for your particular type of athleticism. If you’re a marathon runner, your goals will include a lot of running; if you are a discus thrower, you will need to build muscle. Now that you have your goal in mind, it’s time to form a plan. How to make a workout plan? This starts with structuring your time so that you can fit in the exercise program without any excuses for not showing up at the gym! Plan for a plan. Sit down with your calendar and make a weekly schedule. How often do you want to exercise, and for how long? Write that down. Keep it realistic – you might want to jump into two hours of exercise each day, but do you really have the time? Write down all obligations. Next, write down all of your obligations during the week. If you are a student, write down all your classes and set aside time for homework. If you have a full-time job, block off those hours. Make sure to include all your obligations. Find out your free time. Now look at the spots on your calendar where you have free time. Be very specific with your hours! For instance, if work ends at five but traffic means you can’t get to the gym until five-thirty, don’t schedule your workouts until six. Give yourself plenty of time to make no excuses! Cardiovascular Exercise. This exercise works your heart and lungs. An aerobics class, swimming, jogging or working out on a treadmill can be great for this. A 30-minute workout is adequate for most people. Use the first five minutes to warm up, exercise at a moderate level for 20 minutes, then use the last five minutes to cool down. Weight Lifting. This is about toning your body and building muscle mass. Incorporate 30 to 60 minutes of lifting workouts into your schedule. Keep moving while you do – don’t socialize, and don’t rest more than one minute between sets. Stress relief exercise. Include at least one exercise day that focuses on relieving stress. Things such as yoga or tai chi can do this. How to make a workout plan? Even the best of plans can go awry if you aren’t careful. These tips can help ensure that you jump into the exercise every day, just as you had planned. Answer to someone. If you want to be absolutely sure you stick to the plan, do it with someone else. Being held accountable to show up is a powerful motivator. Go for segments. Don’t jump right into constant workouts – you will slow down soon and get discouraged. Do it in small chunks, like a marathon runner doing smaller runs to train for the longer one. Keep this realistic. Figure out what workout time is best for you and then choose to stick to it. Getting up at five AM if you are a night owl is probably not going to work long-term. Change it up. Even the best exercises can get dull. Switch things up and do something different from time to time. Go with the flow. Life happens, and that can sometimes mean that your workout doesn’t. Be ready to switch your schedule up if you need to do so. Enjoy yourself! Finally, have a good time! A workout plan that feels like a chore will be a plan that falls to the wayside. The more fun you have every day, the more likely you will want to do it again tomorrow. Remember, before you start any exercise program, talk with your doctor about whether it is okay to do so. If the doc says it's ok, then follow the steps and tips on how to make a workout plan and then have a great time on your new workout plan schedule! Which Muscles Will Pushups Work?